The default call blocker app for iOS doesn’t provide us the features that we find in third-party call blocker app. 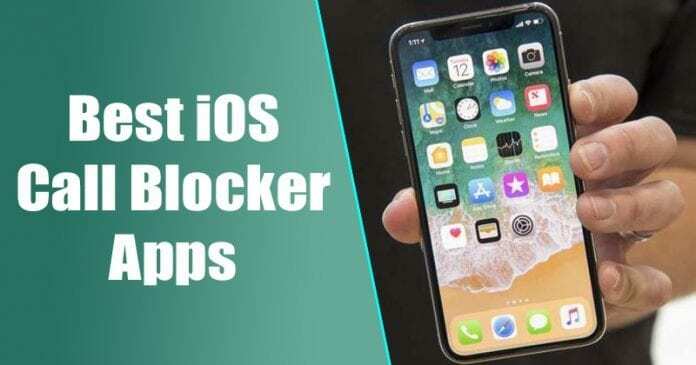 Therefore, we have decided to list down a few of the best call blocker apps for iPhone that you can use to block spam calls. The great thing about iPhone is that it comes with a built-in call blocker. The default call blocker of iPhone is capable enough to block calls. However, it lacks few features, and it’s not that much advanced compared to some third party apps like Truecaller & others. 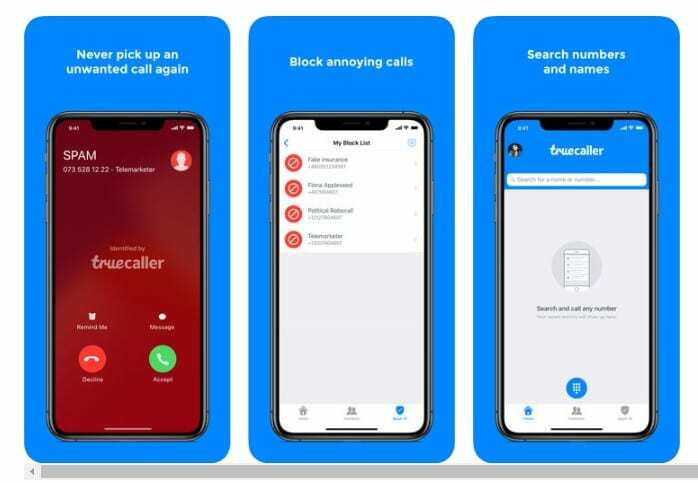 Having a default call blocker app for iOS could be a great choice because it can help you to get rid of telemarketing calls, fraud & spam calls, block unknown callers, etc. The thing is that there are multiple call blocker apps available on the iOS app store which is much better compared to the default ones. The default call blocker app for iOS doesn’t provide us the features that we find in third-party call blocker app. 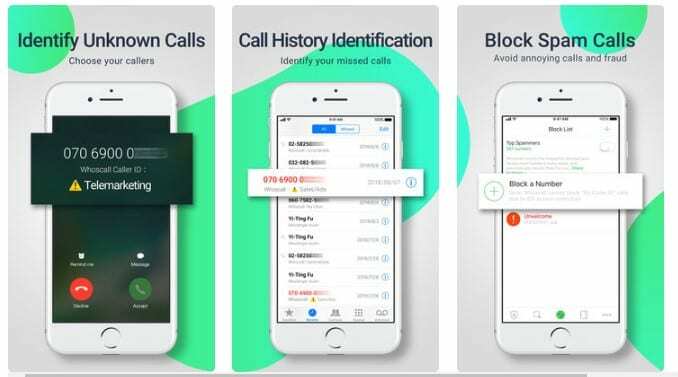 Therefore, we have decided to list down a few of the best call blocker apps for iPhone that you can use to block spam calls. So, check out the list of best iPhone call blocker apps. Well, TrueCaller is not actually a call blocker app, but it comes with some advanced call blocking features. TrueCaller is an app which is developed to find mobile number details globally. The app exposes the numbers of every true caller users which at times might feel uneasy. However, it’s one of the top-rated apps which comes with a built-in call blocker. 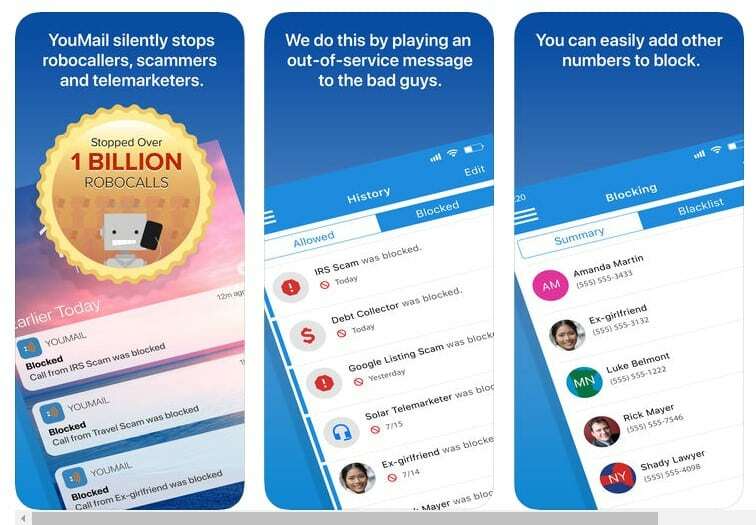 You can use the TrueCaller Call blocker to blacklist any number. RoboKiller is one of the powerful call blocker apps that you can ever use on your Android smartphone. The great thing about RoboKiller is that it comes with a real-time caller ID which can help you recognize the spam calls. 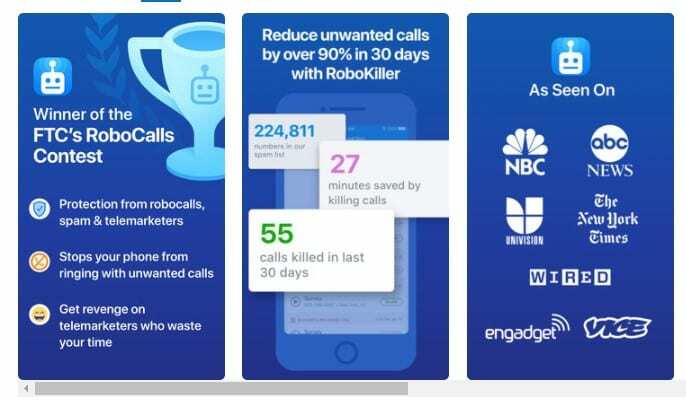 RoboKiller’s iTunes page claims that RoboKiller can reduce unwanted calls by up to 90% in just 30 days. So, its one of the powerful call blocker app that you can use on your iPhone. 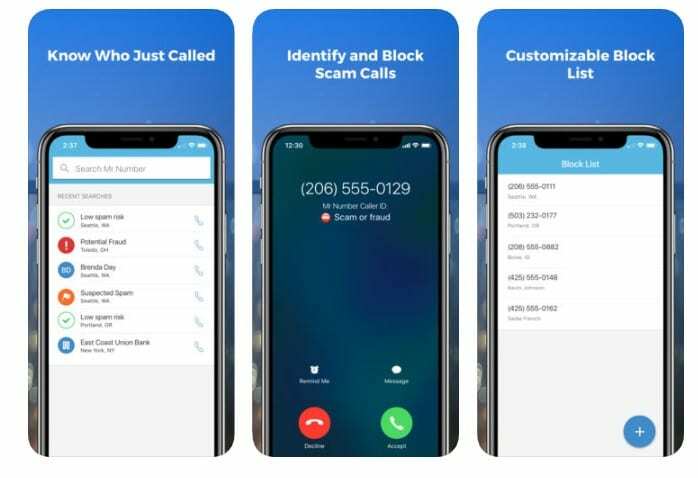 Hiya Caller ID and Block is another popular app like Robokiller which shows the caller ID in real-time. The great thing about Hiya Caller ID and Block is that it automatically recognizes and blocks spam calls, telemarketing calls, etc. It also allows users to create a personalized block list in which users can add numbers to the blacklist. So, Hiya Caller ID and Block is another best call blocker iOS which you can use today. Well, if you are looking for an app that is community driven, then Mr. Number Call Block & Lookup might be an excellent choice for you. Guess what? Mr. Number Call Block & Lookup is one of the best and popular iOS call blocker app available on the App Store. 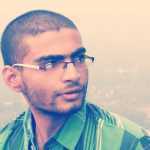 The app is known for its fast reverse lookup and its driven by the community user of Hiya. Call Bliss is another best iOS call blocker app that you will love to have. The app comes with a DND (Do Not Disturb) feature which automatically recognizes the spam and telemarketing calls and blocks them. Not just that, but the app also comes with a Suppress All Mode which effectively silence all incoming calls. So, its one of the best iPhone app that you can use to block spam calls. Sync.ME – Caller ID & Block is one of the most exciting caller ID blocker that you can use on your iPhone. The great thing about Sync.ME is that it not only shows the caller ID, but it also alerts you about spam calls. The interesting thing about Sync.ME – Caller ID & Block is that it updates your contacts photos linked to the social networking platforms. Apart from all of these, Sync.Me also comes with a call blocker which you can use to block spam calls. Well, it’s a security app that every iPhone users should have. The product is not known for its call blocking features, but its well-known for its top-grade security. Norton Mobile Security is basically a complete package of security that also comes with call blocking features. The app can help you to prevent telemarketing and scam calls. Whoscall – Caller ID & Block is one of the top-rated apps that you would love to have on your iOS device. The app is massively popular on the iOS app store, and it comes with lots of exciting features. Just like Truecaller, Whoscall also identifies unknown calls. So, you would know who’s calling you before picking up the call. Apart from all of these, Whoscall – Caller ID & Block is also known for its call blocking features. You can schedule block any number and enjoy the uninterrupted quality time. 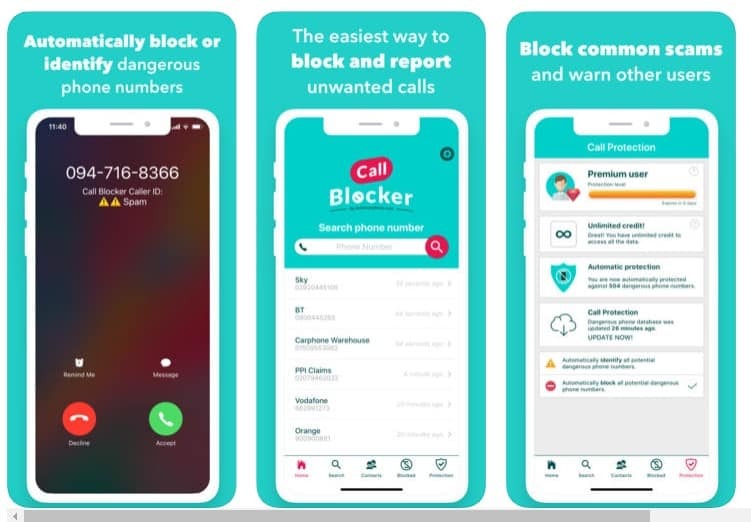 Call Blocker: Block spam calls is another best iOS Call blocker app available on the iOS app store. The great thing about Call Blocker: Block spam calls is that it has over 100,000 telephone numbers registered and it can automatically tell you whether you are getting spam or telemarketing calls. 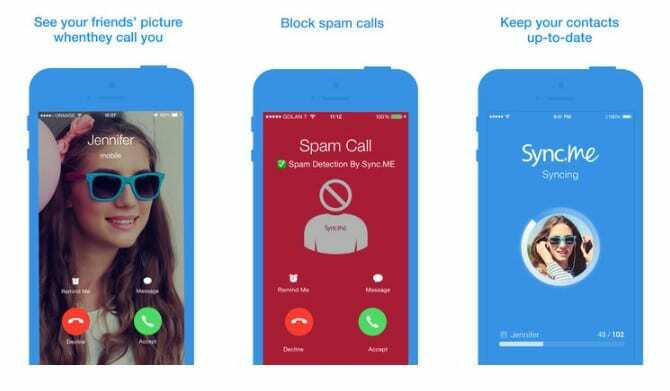 With Call Blocker: Block spam calls, you can block annoying calls in just a few taps. YouMail is another interesting call blocker app for iOS that you can use right now. The great thing about YouMail is that it replaces your default iPhone visual voicemail with YouMail. The best thing about YouMail is that it can automatically block robocallers and telemarketers by playing them a ‘Number out of service’ greeting. So, YouMail is another interesting call blocker app that you can use on your iOS device. 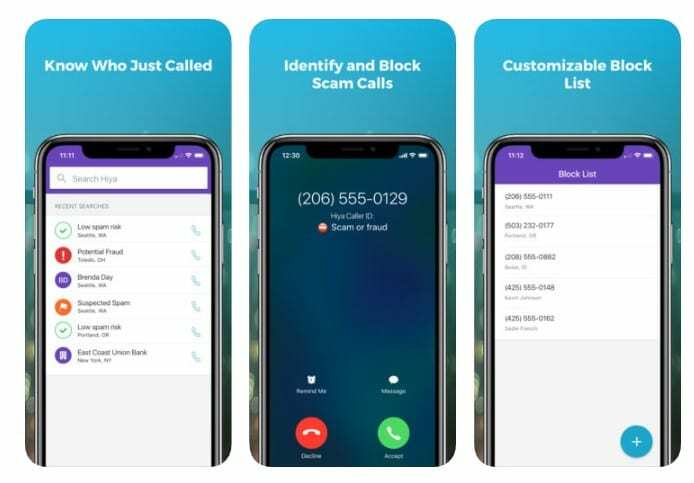 So, these are the 8 of the best call blocker app for iPhone that you would love to have. If you feel that the list misses any important app, then make sure to drop the name in the comment box below.